Substance Use Disorder (SUD) in adolescents can have serious consequences for the young individual and their family. As a result, there are several SUD services available to clinicians. Seeking those services can be daunting and overwhelming for everyone in the family. However, with adequate attention to engagement, participation in treatment can be successful for all. 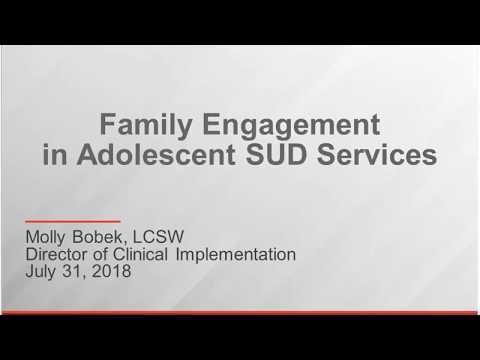 In this webinar, Molly Bobek, LCSW, focused on the benefits and barriers to family engagement in adolescent SUD services. Furthermore, she discussed the strategies from motivational interviewing and family-based therapy models as they apply to engaging families in SUD treatment. These strategies were brought to life through a case vignette to help clinicians apply these in practice.